The Arkitekt range offers practical solutions for bathroom interiors with a choice of washbasins, toilets, and urinals. This range is ideal for commercial use and some products are child, elderly and less abled friendly. 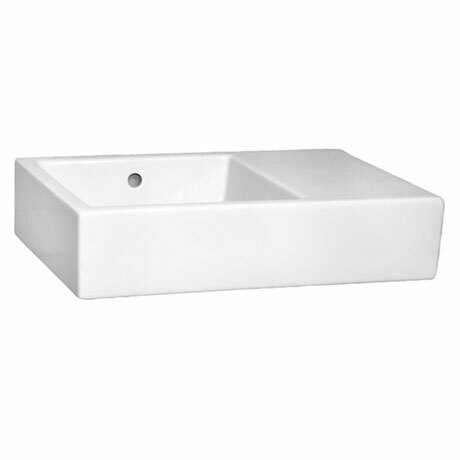 This wall mountable basin is available in two sizes and features a handy integrated shelf on the right for toiletries and an integral overflow. Made from Fine Fire Clay it is backed by Vitras 10 year guarantee.